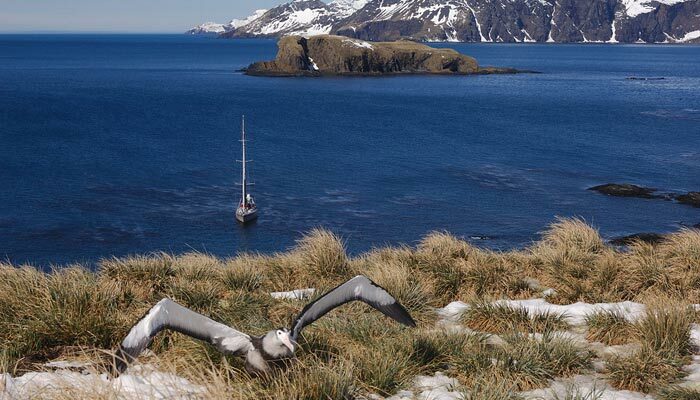 The sub-Antarctic island of South Georgia is one of the most remote destinations for high latitude aficionados. 1000 nautical miles due east of Cape Horn, it sits astride the Antarctic Convergence where the cool waters of the South Atlantic meet the frigid seas of the south. 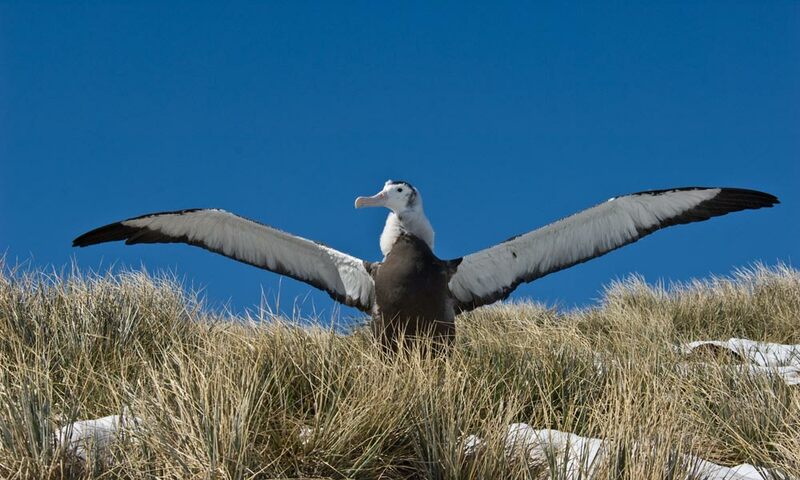 This geographical coincidence gives rise to an extremely abundant marine wildlife - penguins, seals, whales and many species of sea birds including the Great Wandering Albatross reproduce on the island. Plate tectonics have created a rugged spine of alpine mountains up to 2900 meters and many of the glaciers discharge ice directly into the sea. Although 75% of the 100 mile long island is covered by permanent snow and ice in summer, the shoreline and verges are green with tussock grasses, moss and bog. 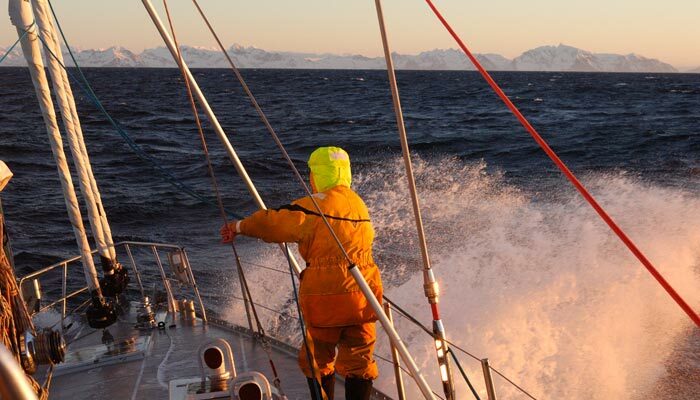 This is a sailing expedition in the truest sense of the word. 21 days minimum on Pelagic Australis or 28 days on Pelagic, Stanley to Stanley. We can accommodate up to eight to nine guests on Pelagic Australis or six on Pelagic (groups only). In addition to individuals or groups wishing to make a general visit, we are also interested in clients who have mountaineering, filming, diving or wildlife projects with a specific focus. Crew members meet the vessels in Stanley, the Falkland Islands. Sailing southeast from Stanley for 750 miles the passage to South Georgia can take up to four days on Pelagic Australis or up to five on Pelagic. After a spectacular landfall, we would then spend several weeks exploring mainly the north and east coasts sheltering in the many bays and natural harbors. The passage back is mainly against the prevailing wind so a minimum of five days return for Pelagic Australis and six days for Pelagic must be allowed for. For longer expeditions with more ambitious goals we can be autonomous for two months on both vessels with regards provisions, fuel and a reasonable capacity for living space. South Georgia is not only famous for its abundance of wildlife. The abandoned whaling stations from the early part of last century are of historical interest, as is Shackleton's celebrated experience of traversing the island in 1916 to effect the rescue of his shipwrecked crew back on Elephant Island. 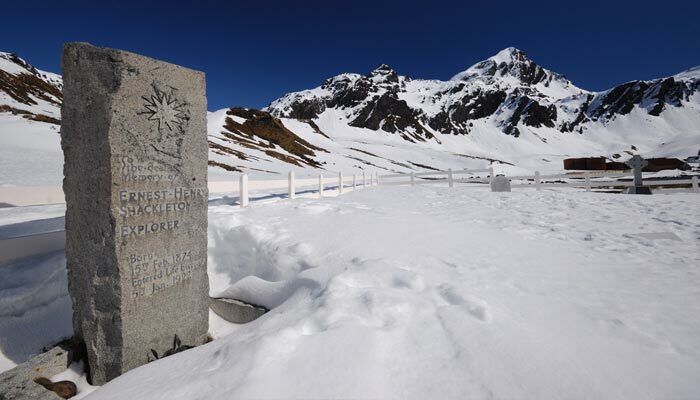 His grave can be visited at Grytviken. 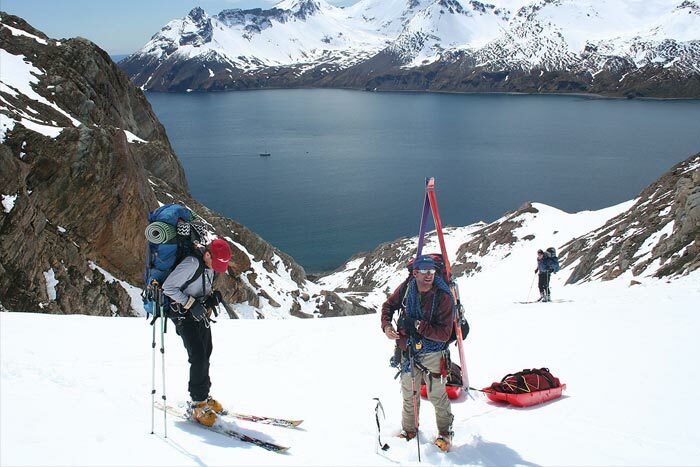 Certainly, the island is a mountaineers's paradise with over 11 peaks exceeding 2000 meters; it is wild, windblown and largely untrodden with many first ascents yet to be attempted. For more information and photos click here or go www.sgisland.org for general information on the island and South Georgia news. 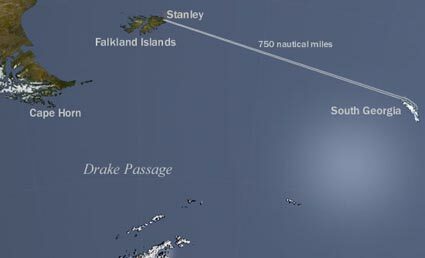 The salient feature of the island weather is that it is in the firing line of the depressions that funnel through the Drake Passage below Cape Horn. It is a windy place with the weather changing frequently. It is decidedly cool in summer and frigid in winter. However, in high summer (November to March) during frequent periods of calm, sunny weather it can actually feel hot, but this soon ends when the wind comes up, which never takes very long! With ‘williwaw’ katabatic winds pouring down off the mountains stirring up the waters below into a maelstrom it is best described as dynamic and fascinating. In summer temperatures will average roughly 5 to 12 degrees C.
October to May is the most reasonable in consideration of weather and available daylight, but any time of year is possible as the coast remains ice free. Scheduling as per the web site for the three week cruises on Pelagic Australis or on a custom basis for longer itineraries for either vessel. There is a weekly flight from the UK to Stanley (Royal Air Force) and a weekly flight (Saturdays) from Punta Arenas to Stanley on Lan Chile via Santiago. Guests coming down through Chile would most likely spend a night there and then board the vessel upon arriving in Stanley. We strongly recommend that international return flights are fully flexible to allow for missed connections due to bad weather.